Get the best out of the random wilds feature to watch some interesting winning combinations unveiling before you. Try Power Gems at Monster Casino. Core Gaming has released a space-themed online video slot with an ultra-futuristic appearance. It comes with several bonus features. You have random wilds, respins with wild reels as well as colossal mega symbols. With a losing spin, you also have the win multiplier increased to boost your earnings when you eventually land a combo win. Read on to learn more about this online casino video slot. This slots have 5 reels and 10 active paylines on display. Players can start playing this video slot by placing a minimum bet of 20p per spin or by increasing their respective bets up to the maximum bet allowed per spin which is £500. Whether you like to bet low or high, this is one slot machine that should satisfy your betting range. On the reels, you have a total of five precious gemstones as well as a Power Gems Logo symbol. The Winspins Wild symbol can be seen only on the three central reels and landing it will reward you with a multiplier of 5x your staked sum. 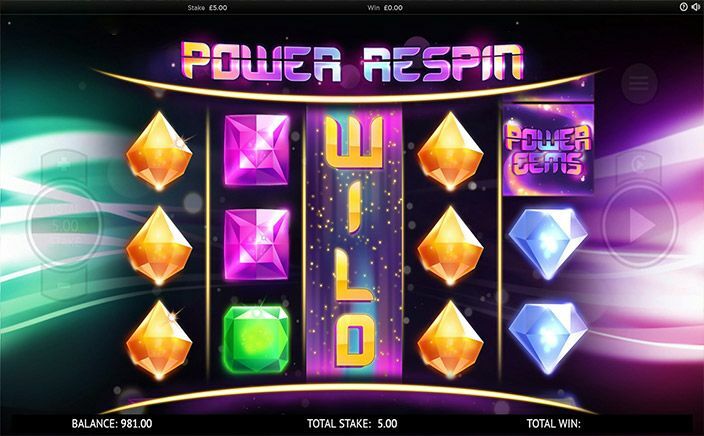 Wild Power Respins Bonus Feature: This feature occurs at random during the base game. You will get a respin as well as a colossal wild symbol has frozen in place on the reels, a randomly included wild symbol and wild reels. Winspins Feature: With Winspins Wild symbols landed on reels 1 as well as 5 on a single spin, you will trigger the Winspins bonus feature. You are awarded free spins for a total of 10 winning spins. If you have a spin resulting in a loss, the win multiplier will increase by 1x. You can reactivate this feature and earn a chance of landing another 10 winning spins. 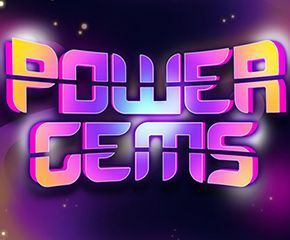 Power Gems Logo symbol will award players with stake multipliers whenever a certain number is landed on the reels. If you land 3, 4 or 5 of this logo symbol on a single spin of the reels, you will earn multipliers of 5, 20 or 25x your staked amount respectively. With multipliers increasing by 1x with each losing spin as well. This space-themed video slot has decent graphics and animation. The gameplay is equally good and simplistic as well.